How Does Genetic Hackle Work? Dries, wet or streamer flies – ever wonder how they produce such amazing fly fishing hackle – colors, length, resistance, differences? It is the hard work of hackle companies, which dedicated themselves to provide the best quality hackle feather for fly fisher and fly tier. Lars Benson, owner of Clearwater Hackle, will answer some of my questions and share with us what it means to raise fly tying hackle birds. I hope this will help you understand a tiny bit more about the care and genetic effort behind it! Why did you decide to take over Clearwater Hackle bird company? It combines two loves: fishing and birds. My grandpa would take me fly fishing with him to some of the best trout streams in the world. I was too young to cast, but he would let me land the fish. It was a blast, and you could say I was “hooked” at an early age. I was fortunate to grow up so close to incredible fishing waters, and would go with my brothers or friends whenever we had the chance. As for birds, it too started when I was a boy. We always had chickens and other birds on the family farm. When I was about 12 my parents gave me an incubator for Christmas. A family friend had a flock of nearly every breed of chicken known to man, and gave me four dozen eggs to hatch. Of all that hatched, two roosters stood out. One was a huge cream rooster that was as tame as a dog, named Arney (Arnold Schwarzenegger was still an A-list actor at the time), and the other was a miniature black bantam I named King Kong. 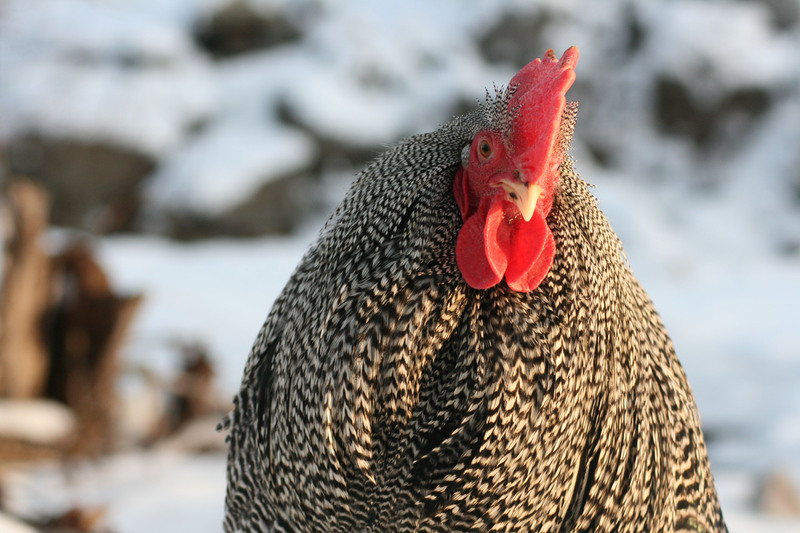 What King Kong lacked in size he made up in spirit and would often try fighting any other rooster in the coop, including Arney. The unconquerable hearts of those two birds was the start of my love for the animal. Fast forward 25 years. We met and became friends with Denny Conrad, a master fly tier and owner of the rare genetic dry fly chicken, formally Conranch Hackle. He devoted his life to perfecting the breed from the standpoint of the fly tier, and made quite a name in the industry. Denny is not a “spring chick” anymore and while he loved the birds he knew it was time to let them go to new owners. What is the genetic work behind raising birds with such specialized feathers? Lots! 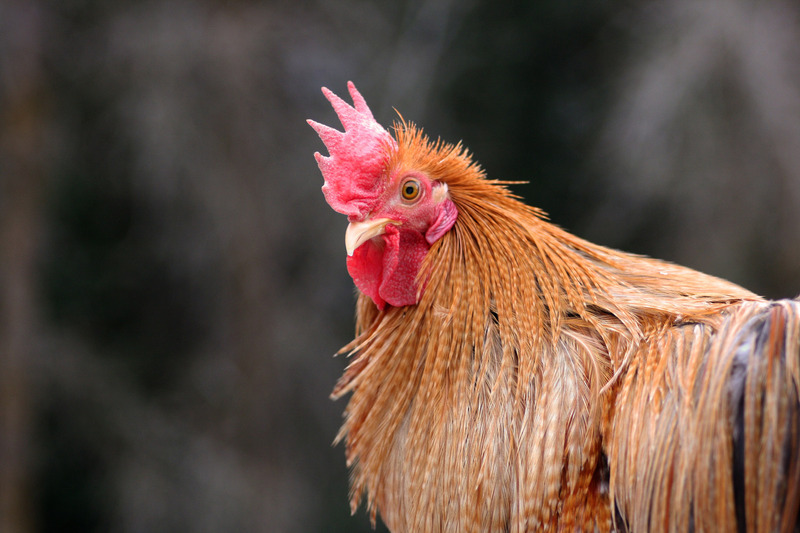 There have been millions of dollars spent developing the “genetic hackle” chicken. Many have tried. Most actually failed. Tiers today are surprised to learn that you can tie a fly with just about any chicken feather. However, you need the genetic rooster to tie dry flies. What makes this bird special is a mutation, which unless introduced into a flock cannot be recreated in a barnyard bird. The mutation gives the feather buoyancy and a few other great traits, discussed below. If you go back to the pioneers in genetic hackle, the Darbees and Hoffmans, you find that they really did not know how the mutation happened. Luck perhaps. Or, also their keen ability to spot something different that most other breeders would have missed. As for our efforts at Clearwater Hackle, one of the most important aspects of proper genetic management is keeping accurate and detailed records. We maintain a database that tracks multiple data points. You may not guess how labor intensive it is to keep updated records, but it can take as much time (often more) than actually caring for the birds. And the more in-depth and accurate you can make your records the better your breeding program. We also place emphasis on selective breeding so that we only use the ‘best of the best’ as breeders. An inferior or even mediocre bird, especially if it is a hen, can stunt your progress for years to come. We spend weeks picking the new breeders, carefully analyzing records and then spending a lot of time with the actual birds. It requires a thorough understanding of genes…and even with that understanding you still get surprises and you quickly learn that one cannot perfectly control all outcomes. Lastly, our breeding program today is a deliberate strategy of what we want our birds to be in 5+ years from now. 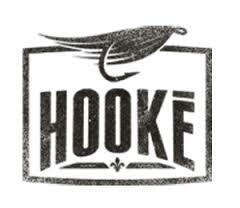 What makes a bird more suited for a good fly tying hackle? It all comes down to genetics, and being able to produce birds that grow the right type of feathers. There are many features you want to have in a quality feather. Flexible, strong stems is a must whether tying dry or wet flies. One of the “mutations” that makes our flock special is that the stems are an oval shape, which maximizes the number of wraps and better utilizes the feather, so that there aren’t any kinking or breaking of steams that can sometimes happen. If tying dry flies, then stiff barbs and feathers that lack barbicles (the velcro-type hooks that keep feathers together). If wet flies, then soft hackle is important (such as is found in our JV Hen skins) because of how the undulation in water mimics the movement of insects. There are other subtle but important qualities too, such as sheen, barb count, and large sweet spot (amount of usable area on a feather). A lot of tiers place too much emphasis on length. Unless you are a professional tier, length should not be as important because a good fly tier should be able to tie 3+ flies from each feather. Can you enlighten us about the major difference between cape and saddle hackle? Great question, and one that even veteran fly tiers do not always know the answer to. 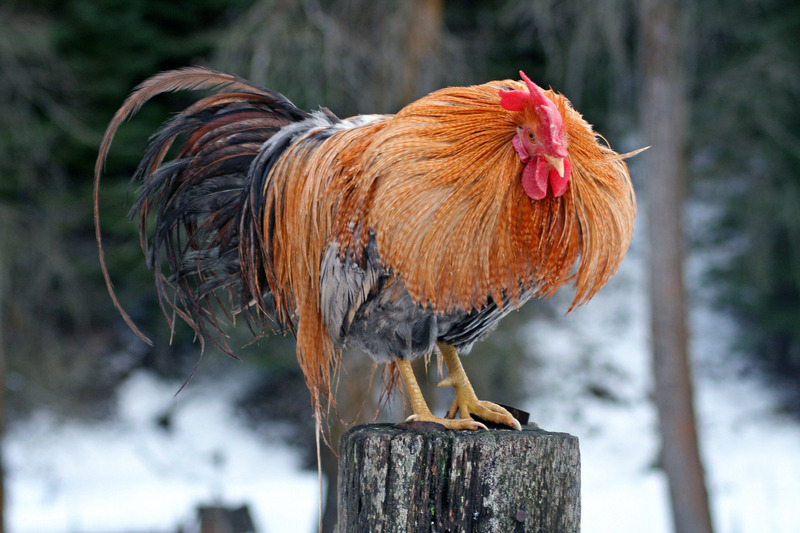 A genetic rooster grows hackle on just two places, his neck (cape) and back near the tail (saddle). All the rest of his feathers have barbicles, which absorb water and will make a fly sink. In other words, a genetic rooster grows both dry fly feathers and wet fly feathers, depending on where the feather is on the bird. We usually include trimmings on our capes and saddles, so our customers actually benefit from buying both wet and dry feathers in the same purchase. There are two main differences between cape and saddle hackle. Capes have a wider range of feather sizes but shorter feathers. Saddles have longer feathers but typically in just 2-3 sizes. The cape is more suited for those people who plan to tie a variety of flies, since there are a number of different feather sizes on a cape. For instance, our capes usually have a range from size 2 all the way to size 30. Most feathers on a cape should yield 3 flies per feather, provided the tier does not over-wrap. I typically recommend capes to new tiers and most hobby tiers. Saddles are more suited for those tiers who want to tie many flies in a particular size and/or pattern. Our saddles have the old fashion sizes of 10-14, which is becoming more popular today as more tiers are going back to the traditional flies. Saddle hackle grows longer too. For instance, one of our breeders named Big Foot, grew saddle hackle 23 inches long in just 13 months! While that is unfortunately quite rare, a Grade 1 saddle hackle should yield about 8-10 flies per feather…again, provided the tier does not over-wrap. For this reason a lot of pro tiers prefer to buy our saddle over capes because they have specific numbers of certain flies to tie. What does a day at Clearwater Hackle look like? A lot of work, but we try to make it fun too. It’s a family affair. First thing in the morning we turn on the lights and check on the birds to ensure everything is fine. We take care of the birds in the afternoon, and I spend a few hours answering emails and sending out orders. How many birds you guys are taking care of? Currently we raise a couple thousand birds a year. Our goal is to raise 10,000 within the next 2-3 years. Thank you so much to Lars Benson for is willingness! 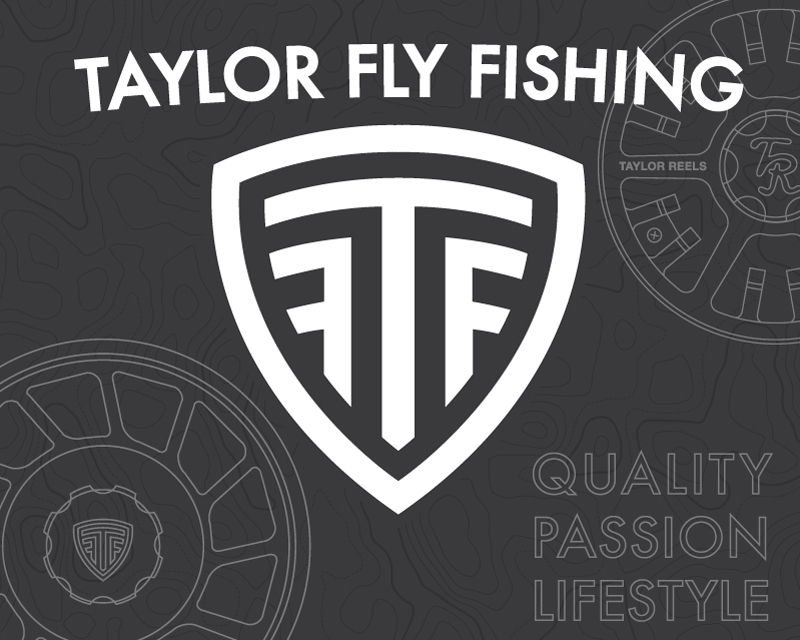 Have a good dry fly tying session! Gear Review: Workwt gloves and SUNwt. Mask From 12wt. An excellent interview about the art of raising birds for fly tyers. Do you know the difference between a cape and saddle hackle? Reblogged this on Clearwater Hackle. This year I am in my 8th generation of genetic hackle birds, I now have most likely some of the very best Barred hackle stock in the Country, I’m not selling hackle, just breeding and improving hackle to some day sell the flock to Whiting, Metz, ETC, a very costly hobby, but very rewarding, great creatures to work with, Kind Regards Gordon Smith, Gordon Hackle. Wow that’s impressive! You should send me some photoI could post on a blog! Would love to get my hand on some hackles! Thank you so much for sharing!